What is your kegemaran Tom Cruise movie of all-time? Do anda like Tom in Vanilla Sky? The Firm atau Collateral ? what are your kegemaran tom cruise movies? 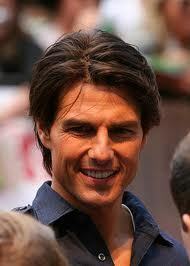 On a scale of 1 to 10, how would anda rate Tom Cruise as an actor? It's been less than four years since Viacom chief Sumner Redstone famously called Tom Cruise "embarrassing," labeled him as a turn-off for all women and accused him of costing Paramount "a lot of money." He also refused to renew the star's contract. What a difference a little career upswing makes. Tom Cruise broke his ankle performing a stunt on the set of Mission: Impossible – Fallout in London, England. a comment was made to the photo: Tom Cruise & Paula Patton: 'Ghost Protocol' in Moscow! He was nominated for 7 Saturn Awards between 2002 and 2009, winning twice. 9 of the 10 films he starred in during the decade made over $100 million at the box office.